Recently I wrote about the philosophy shifts in Heart of Thorns and why they’re wrong. The TLDR version is that, while some of the changes actually bring the game more in line with what I would have designed the game to be, the fact remains that eighty level’s worth of content is still in front of it. I still believe that, but I didn’t want to leave you with the impression that I absolutely hated Heart of Thorns, so I wanted to share a few of the things I’ve really enjoyed about Heart of Thorns. The revenant (the class, not the recent movie) has been everything I love about a Guild Wars 2 class. There really isn’t a weapon combination that I hate; on the contrary, I actually hate that I can only have two weapon combinations slotted at a time. I like the way legends work, changing my role with a touch of a button. Best of all, there are decent group healing options available. But perhaps more important is the fact that they added a new class. As someone who loves nothing better than creating new alts, I hate it when games refuse to add classes. I get it, balance is hard, especially in PvP, and adding a new class will inevitably throw off that delicate balance for a while, but for me it sells the expansion better than a new zone or a level cap bump. I don’t expect games to add a new class every expansion, but if you don’t, you either shouldn’t charge full price or you should give me something really big and interesting to do with the characters I have, not just a handful of new zones. In addition to the new class, Elite Specs have renewed my interest in several classes. The chronomancer’s shield is cool and has some nice support mechanics, the scrapper’s hammer and drones are a nice addition to the engineer’s already varied arsenal, and the thief’s daredevil spec is just fun all around. I’m not sure if it counts, but the additional defense and healing shield with the revenant’s herald spec has saved me on more than one occasion. It’s a great middle ground between the simple WoW-style skill trees we’ve seen in so many games and some of the more intimidating systems like the original Guild Wars’ dual classing or Rift’s soul system. I just hope we don’t have to wait a couple of years for another expansion before we get another set of elite specs for all of the classes. 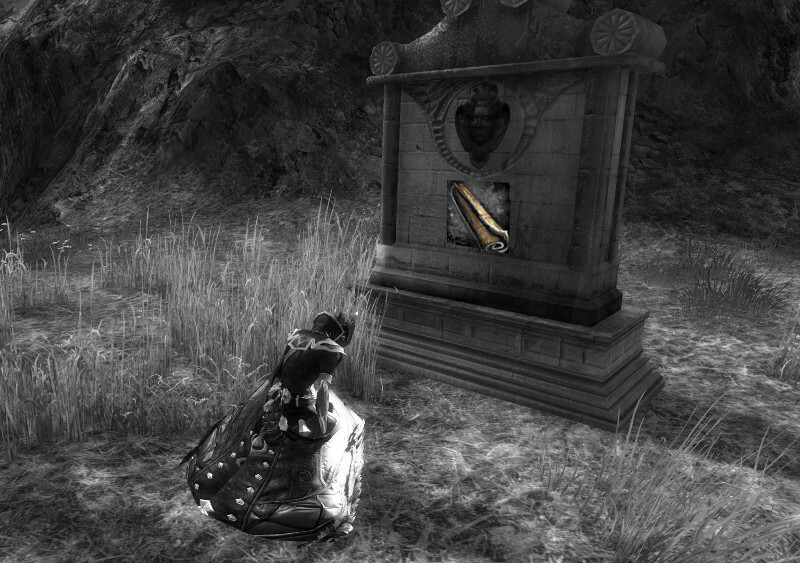 Guild Wars 2 has always tried really hard to be story driven and fallen flat every time. Aside from some dubious decisions regarding gating areas behind (admittedly, one time) mastery grinds, Heart of Thorns has done a much better job in that department than either the base game or the living world story. It has been a lot less predictable and trope-filled than the original story (despite still revolving around slaying a magical dragon). The best move is replacing the weird looking-past-each-other (which I’ve complained about many times, so I won’t reiterate it here) with actual in-world cutscenes, and, perhaps more immersive, voiced conversations that don’t take you out of gameplay. For instance, early on there’s a moment where you meet up with some Hylek, and you talk to them as you walk to their village, rather than talking first and then walking in awkward silence as you did in many of the base game story instances. Similarly, there are times when you find NPCs outside of instances and have to stop and chat with them to find what you’re looking for. 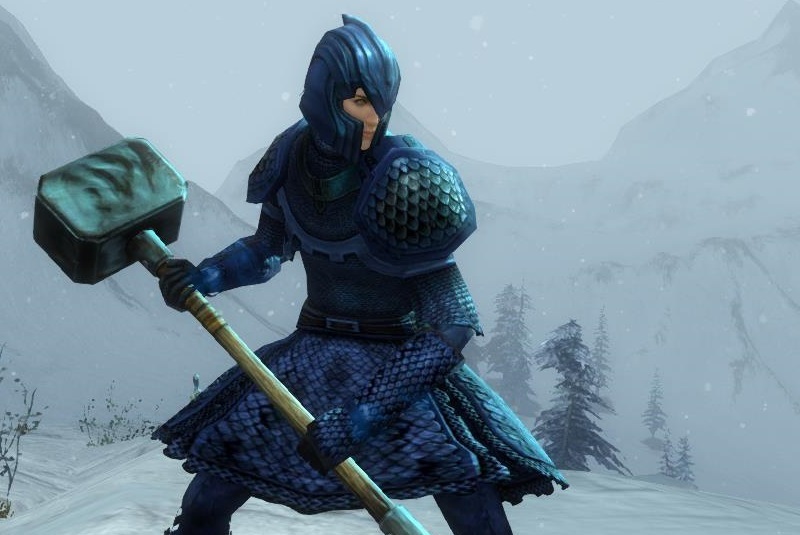 I know I’ve complained about cosmetic fluff being the only incentive for certain content, but I love the idea that each elite spec has a themed weapon (and, in the case of the Revenant, an armor set). The scavenger hunt to collect all of the random items could only feel fun in a game where cheap quick travel points dot the landscape, and it gives level 80 players a good excuse to visit a lot of the pre-expansion zones. All in all, despite a few annoyances, I think Heart of Thorns is a solid expansion. ArenaNet can’t help it that they made some choices when developing the base game that didn’t pan out the way they had hoped, and now they’re doing the best they can to stay faithful to the original vision while forging ahead in the direction that the majority of players want. Also, as discussed in a recent episode of the Massively OP Podcast around the 17:30 mark (I promise I’m not just linking that because they answered my question about LotRO in the mailbag section), ArenaNet has always been good at trying something new, and, if the players don’t like it, admitting it was bad and scrapping it. And for that, if for nothing else, I have to give them a lot of respect, because that’s really hard for a lot of companies to do, MMO developer or otherwise. I really miss skill point scrolls, aka Scrolls of Knowledge. The thing is, I understand completely why they were removed, but I still miss them. This past summer, as part of the changes to the way skill points and specializations worked in preparation for the new elite spec system, ArenaNet saw fit to change skill points to “hero points.” Hero points allow for a progression of skill points that honestly makes more sense and allows players to customize their class to their liking earlier on, with less wasting points on skills you don’t want just so you can unlock the next tier of skills. It also meant you had to spend hero points on unlocking your specializations, but again, now, if you’re really just interested in one specialization, you can dump all of your points into it and have it earlier on instead of having the specialization tiers unlocked as you level. There are pros and cons to both systems, but we have the new system now so there’s not much point in worrying about which is better. The point is, when they made the switch to hero points, they removed the Scroll of Knowledge and converted them all to Spirit Shards, and made all activities that gave a Scroll of Knowledge now give Spirit Shards. Previously, players could continue to rake in a continual stream of skill points, which meant that, at some point, they became worthless for unlocking skills. Players could either transfer scrolls to another character, or exchange their unused skill points at a special vendor for Mystic Forge crafting ingredients. Honestly, it was weird that you could spend your skill points in the first place, so I’m not really upset about that. What I am a little annoyed at is the fact that, when I use Tomes of Knowledge to level my characters instead of mapping, they’re now at a disadvantage because, while you get a lot of hero points as you level, you’re still short a bunch. Maybe that’s the point–don’t let people skip the leveling process entirely by grinding a lot on other characters, just the hard part–but it’s still frustrating. Not only that, but my high level characters don’t have nearly enough hero points to train up their elite spec (my mesmer didn’t even have enough for the shield proficiency before they lowered the cost). This sounds like my fault–if this change was made over the summer, clearly I didn’t prepare for the expansion well enough–except that ArenaNet did a really bad job of communicating the fact that elite specs would cost hero points, and a lot of them at that. They did the right thing in reducing the number of points it costs to train you elite spec, previously 400, now reduced down to 250 (for reference, I had maybe 50 extra points at best on any given level 80 character). This solution means you still have a use for those leftover hero points, but those of us without near total map completion won’t have to spend hours in old content just so we can use our shiny new spec. I will forever be mystified by the fact that that a cloth blindfold is considered heavy armor. Or, y’know, why they’re a thing at all. I guess it’s like the Miraluka in Star Wars; they don’t need to see because they have magical something-or-other-sight-beyond-somesuch powers. It must be a thing, because WoW’s new Demon Hunter class is getting heavy armor blindfolds as well. Anyways, this post isn’t about how my character would be totally OP at Major League Pin the Tail on the Donkey, it’s about how I’m loving Guild Wars 2’s new Revenant class. From launch day to today the lower level zones are pretty much wall to wall revenants. Normally it bothers me a little to see a lot of people the same class as me, but right now playing a revenant feels like being a part of the expansion launch hype. Like just about everyone else who preordered Heart of Thorns, I first played the revenant in the beta weekends, and honestly, at first glance, I felt like the class was overcomplicated, specifically the legend system. Why not just give me a mana bar instead of this weird thing that goes to 50% when out of combat and then fills while in combat? And it seemed like each legend had exactly one slot skill that was worth using and that was about it. Well, like just about everyone else who preordered Heart of Thorns (déjà vu), come launch day I rolled a Rev and used a level 20 boost on him. Meet Purifier Unit. If you’re among the 99% of gamers who won’t get the reference, the name is a nod to the underrated (and recently re-released on PSN) Mega Man Legends. I thought it was a fun play on words without being terribly immersion breaking. Anyway, I probably should have expected this, but leveling a revenant more naturally, it works a lot better. I still don’t regularly use more than one slot skill per legend, but I’ve come to realize that that’s because they aren’t really meant to be used the way other classes’ slot skills are. In general, two of the skills are situational, and the third is something you can use to burn energy when you don’t need the situational skills. For instance, on the assassin legend, there’s a backwards roll/stun break and a gap closer. The backwards roll is nice since the 2 skill on my favorite weapon, the hammer (which is a ranged weapon for some reason), does more damage at greater distance, and the gap closer is great for melee weapons. But for times when those skills aren’t useful, revenants have a toggle skill that slowly burns energy to speed up both their movement and cooldown timers, meaning they can use those hard-hitting, long cooldown attacks more often. Same story with the dwarf legend: a skill to taunt (that’s right, taunts in GW2, tanking fans rejoice! ), one to give stability, and one that drains energy to make a big AoE DoT appear around the revenant in the form of orbiting hammers. So now comes the dilemma. I really like playing my revenant, so do I level him normally, or use my forty-some tomes of knowledge (“level in a can” items) that I have in by bank to get him most of the way to 80 right now? Or should I use them on a class I don’t like as much? And is it even worth it to level with tomes, since I’ll have to go back through zones anyways to gather tons of hero points if I want my elite spec? 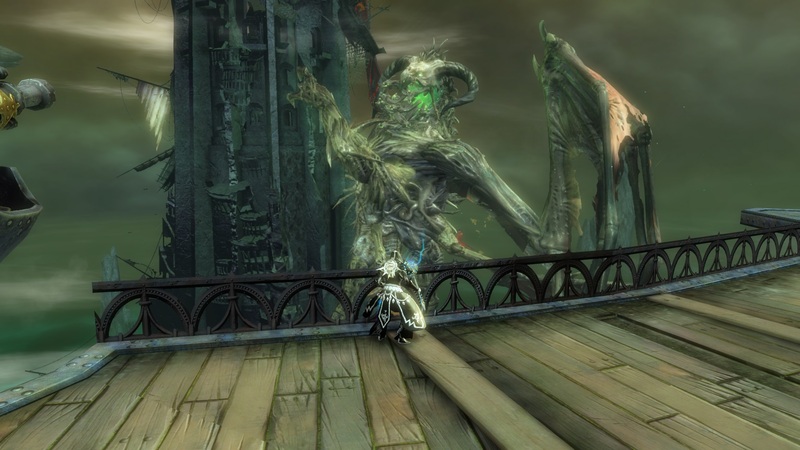 With Heart of Thorns drawing ever closer, the anticipation is tangible among the Guild Wars 2 community. There has been a lot of speculation buzz from my friends and guildmates about every teaser image that pops up on social media and every elite spec breakdown Twitch stream. But the looming expansion doesn’t just get players talking about the changes to the game, it also changes the way we play. Perhaps the most obvious expansion-related change to my playing habbits is that I’ve brought my mesmer, Perception Filter, one of the first characters I made, out of retirement because the Chronomancer elite spec looks really cool. Yes, I know, I was getting really close to having an 80 warrior, but she’ll be next, I promise. 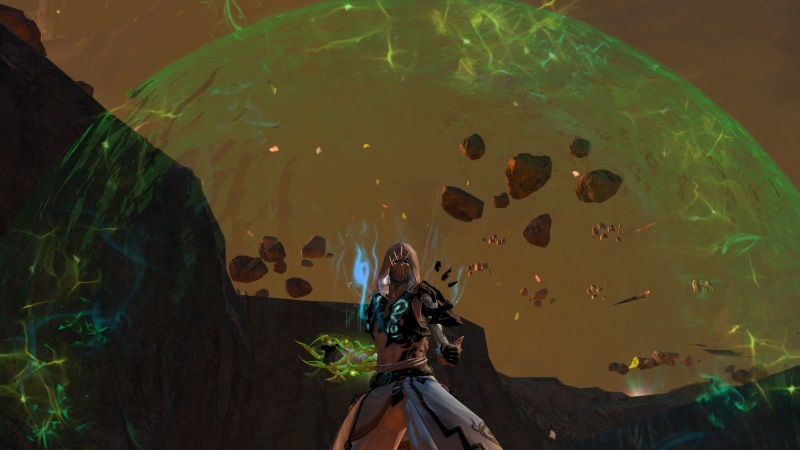 The mesmer is possibly the strangest class in Guild Wars 2. You have illusions, which seem like pets but they’re more like DoTs. It’s sort of a mage class, but it’s also kind of kind of a tank class, and my preferred weapons are sword/pistol and greatsword. I think that’s a lot of the reason why I abandoned her; I didn’t even get the nuances game yet, so adding a class with a strange playstyle on top of that really discouraged me. It’s also a late blooming class, so maybe I just needed to stick it out longer. Either way, I’m enjoying the class now, and hoping the Chronomancer spec makes it even more enjoyable. Inasmuch as my low level characters are progressing rapidly, my 80s are equally stuck. My favorite class so far has been my necromancer, and the build I fell into was very bleed-centric. Currently, with the current bleed cap at 25 stacks, condition builds are of limited utility. I was just thinking I was going to have to bite the bullet and find a new playstyle when the announcement hit that ANet was looking at removing the cap on bleeds. As excited as I am about that, it means that I’m now unsure if I should be looking for condition damage or other sources of damage when gearing up for the endgame. Also, there has been talk of new precursors, but is there going to be other new endgame gear to go with the additional endgame progression that is the meat of the expansion? It would seem to be against the Guild Wars philosophy of never invalidating low-level content, but only time will tell, and until then I’m sitting on my gold and karma. While I’m powering through the levels on Perception Filter, there’s one shortcut I haven’t taken advantage of that I normally would, and that’s the XP tomes and scrolls. Those have gone straight into my bank for use by my future Revenant. I have far from enough to jump straight to 80 on launch day, nor would I want to cheapen the experience that way, but I do have just enough to skip the boring low level stuff. I’ve also had some angst over whether or not I should save my skill point scrolls or use them all on one of my 80s to buy Mystic Forge recipe materials. I know that Guild Wars 2 is something special when, despite the general lack of current content due to most of the developers being busy with the expansion, I haven’t been that tempted to leave it for greener grass on the other side. Just about every MMO I’ve ever played got to that point a lot longer ago than Guild Wars 2. Yes, I’ve been playing LotRO, but I’m probably averaging less than one play session per week. Yes, I flirted with SWTOR and Rift for a while. Something about Guild Wars 2 kept me coming back, and I really hope the expansion makes me glad I did.